With the end-of-year holiday season coming up, retailers are scrambling to get their pay per click (PPC) campaigns in order and launched. But retail isn’t the only industry with peak seasons and advertising ramp ups – many financial service and hospitality companies also have seasonal concerns when planning advertising. 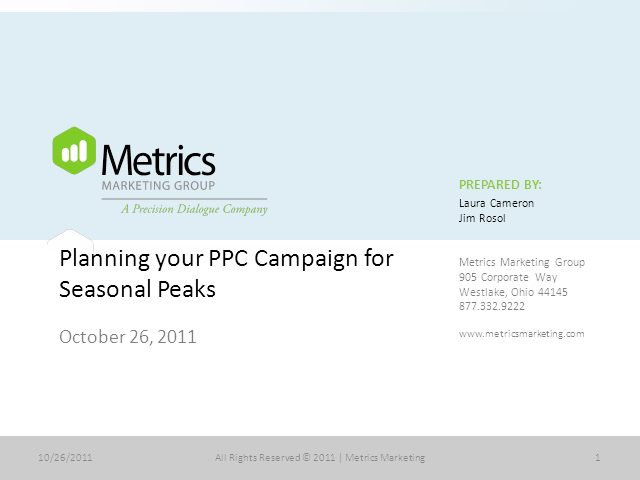 This webinar will cover PPC best practices for these three different industries.